Grand Park Lovers Rock on Valentine’s Day comes to Downtown L.A. on February 14 for a romantic evening under the stars with American soul-influenced reggae music. Need an affordable, fun way to celebrate Valentine’s Day with the ones you love? 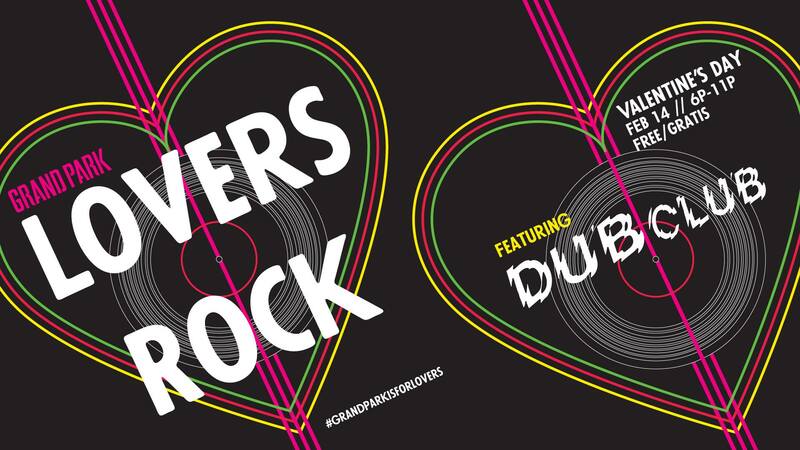 Grand Park’s Valentine’s Day celebration will feature various Dub Club DJs spinning laid-back reggae tracks, a complimentary photo booth, and arts and craft activities. There will be also be tables for two set up around the fountain and throughout Olive Court illuminated with the glow of string lights. Attendees are encouraged to dine (picnics encouraged) and enjoy the breathtaking views of Los Angeles City Hall and Grand Park’s own Arthur J. Will Memorial fountain. Desserts and treats will be available for purchase from food trucks Churro Stix and The Tropic Truck. The celebration will take place at Olive Court and Arthur J. Will Memorial fountain in Grand Park from 6 to 11 p.m. This event is free and open to the public.